1. Begin by giving the area a quick look to get an idea of what you have where and what needs to be put away. When you’re ready to begin, start at one end and work your way around the room. Stay focused and don’t get side tracked when you see something else (it’s hard, I know!!). 2. To keep you on track, split your kitchen up into sections, making sure you’ve identified three sections in which you will spend 5 minutes. NOW is the important step: SET A TIMER!! It will help keep you focused and motivated. 3. Counter space is the first thing to consider. 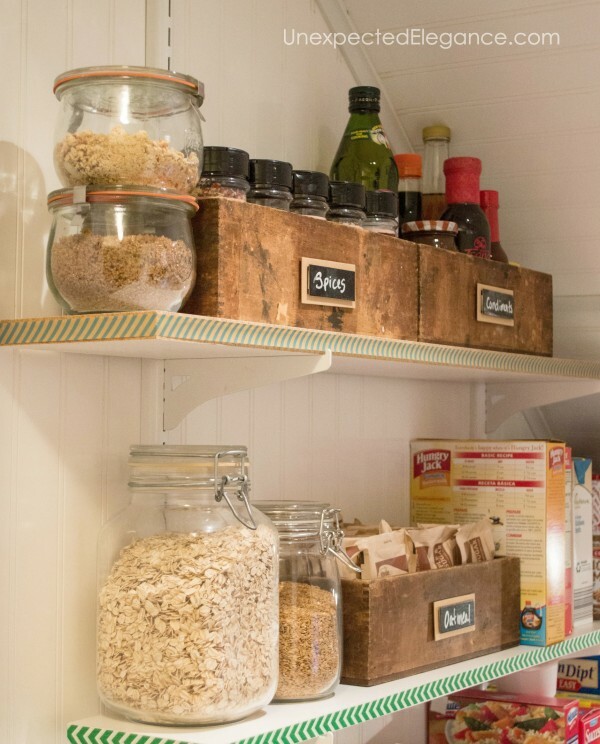 It’s likely cluttered with appliances, mail, empty containers, non-spoiling food (such as spices and cereal), etc. The general rule is that if you don’t use it daily, it doesn’t need to be displayed. Take your coffee maker for example. You probably use it daily so leave it where it is and give it a quick wipe down (if necessary). Part of the countertop includes your sink area so the same approach applies: if it contains items you don’t use daily, put them away. Have a place – maybe a plastic container or bucket under the sink – where you can quickly toss items. Then give your sink a quick wash down so that it shines. 4. Paperwork can and will consume your life – no matter where it is in your house. The kitchen seems to be an ideal “drop spot” for mail, take-out menus, school permission slips and more. But paperwork – no matter how well it’s organized – is always going to look like clutter. Since you have to put it away for the clutter-free look and you don’t want to lose it, be sure to have a box with a lid handy to stash it in. (Just don’t forget that it’s there!) Take two or three minutes every day to do a quick sort so it doesn’t get out of control. If you have kids in school the paper can REALLY get out of control. Here’s a method that has been working for our family: Every night we go through my girls’ school paper and make piles. The important ones we keep and the rest goes into recycling. The “important” stack is broken down into keepsakes and information. The keepsakes go into special boxes (like writing or drawing I want to keep….definitely be selective!!) and the important info either gets entered into the calendar and then tossed or placed on the bulletin board. This process only takes a few minutes but is DEFINITELY worth it for my sanity!! Once everything is away, give your kitchen a quick wipe down and it’s ready to show off…whether it be preparing a meal for your family or entertaining friends. 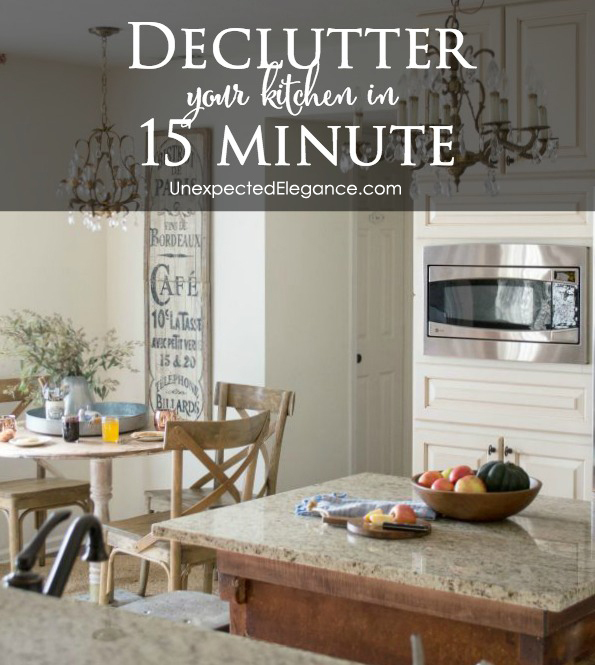 Now that your clutter is put away it might be time for a DEEP CLEAN?? Here’s a good resource for making sure you don’t miss anything!! Just print and check off as you go. 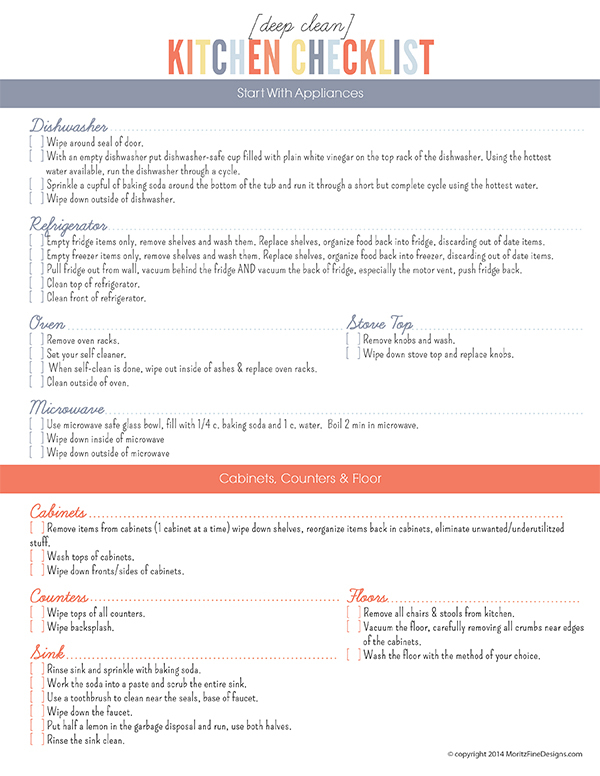 If you break it down and do one or two sections a day by the end of the week your kitchen will be in great shape!! I’d LOVE to know if you are walking along side me in this journey to a stress-free/clutter-free home. Leave me a comment letting me know how it’s going! Where did you get your table, if this is a picture of your kitchen? Great tips. I am in the process of getting rid of extra stuff as well and I have been looking for a good cleaning schedule. Very useful information. Thank you!